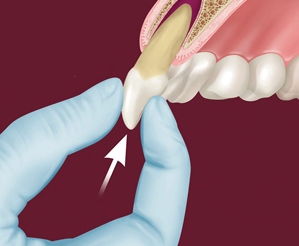 Tooth migration: so you think you are safe as noone can see your back tooth is missing...? IT’S ESSENTIAL to replace any missing teeth as soon as possible — doing nothing could cost you much more in the long run. The dentures in this areas act as space maintainers to prevent any further changes such as horizontal and vertical drift - see the photos below. 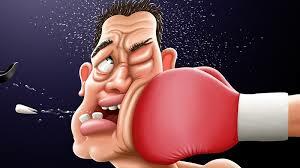 A missing back tooth can set off a chain reaction of problems that can affect your overall dental health. Besides playing an important role in chewing food, back teeth also redistribute most of the chewing force away from the front teeth. Their absence can also affect the bite: adjacent teeth to the missing one will tend to migrate toward the open space, causing them to tip and rotate into an improper position. This can cause an increase in tooth mobility, excessive wear and erosion, and endanger their survival in the long run. To avoid these and other problems you should consider some form of replacement. One of the options is a removable partial denture (RPD). RPDs restore function and improve appearance and are the quickest and most cost effective dental appliance available. It is essential to replace the back tooth/teeth as soon as possible — doing nothing could cost you much more in the long run.